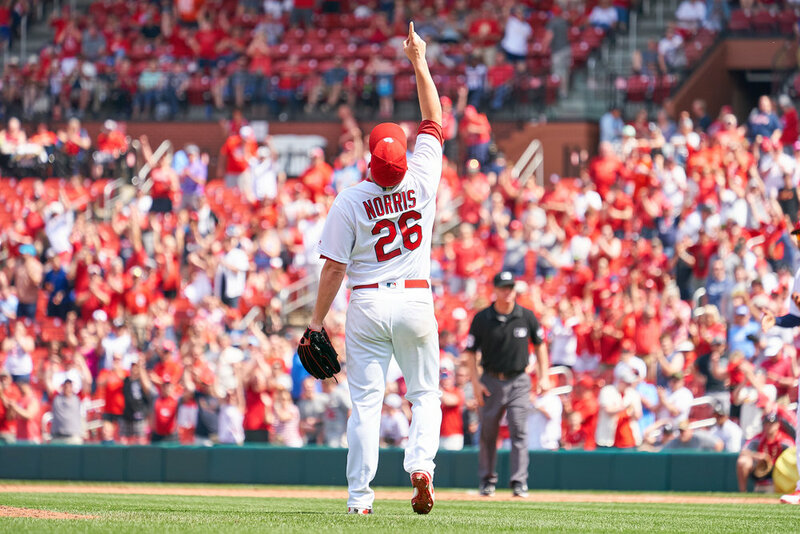 David Stefan "Bud" Norris (March 2, 1985) is an American professional baseball pitcher for the St. Louis Cardinals of Major League Baseball(MLB). He previously played for the Houston Astros, Baltimore Orioles, San Diego Padres, Atlanta Braves, Los Angeles Dodgers and Los Angeles Angels. Originally from Novato, California, Norris attended Marin Catholic High School in Kentfield, California, later transferring and graduating from San Marin High School in Novato, California, and later California Polytechnic State University in San Luis Obispo, California.